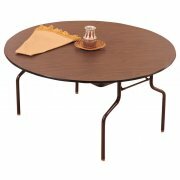 The Round Banquet Table stands rugged yet folds flat for storage. 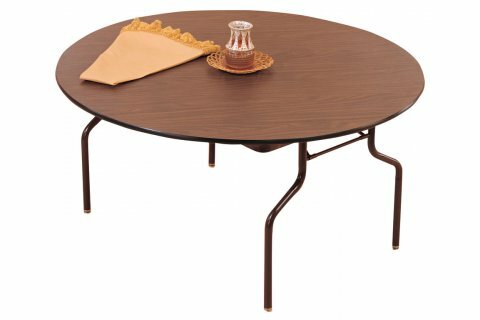 The perfect folding table for any banquet hall or church fellowship hall. 5/8 in. thick composition board wtih Melamine surfaces. Full apron for support and spacing in storage. Heavy duty "T" molding on edges. Steel folding legs with baked on enamel finish.